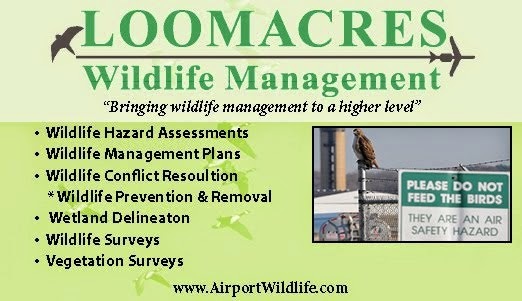 Schoharie, NY –There are many types of events which can bring a community together. This June 8 and 10 the village of Schoharie will host a celebration 100 years in the making as they mark the centennial anniversary of the Schoharie Free Street Movies, a landmark community event which spanned a quarter of a century and helped usher in a new era in American cinematic history. It was in 1917 when then village mayor Perry E. Taylor first devised the idea to provide a free weekly event which would help bolster the community’s morale while bringing more business to the village’s main street. With the financial and organizational backing of a group of village merchants known as the Board of Trade, Taylor was able to realize his vision and on June 7, 1917 the community gathered in front of the county courthouse for a screening of The Awakening of Helena Richie, starring Ethel Barrymore, in what would be the first of many Thursday evening movies on Schoharie’s Main Street. In the early years of the Schoharie Free Street Movies, many movie goers would take in the evening show from the comfort of their open-top automobiles, pre-dating the first commercial drive-in theater by 16 years! 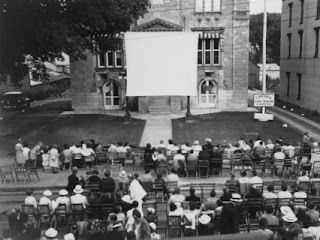 It didn’t take long for the popularity of the street movies to take off, and as thousands of visitors began to flock to the small community for the free, weekly showings, Main Street was shut down and automobiles had to make way for individuals and families who would bring their own chairs or rent them for 10 cents apiece from the fire department. For more than a decade, silent films were shown on Thursday nights throughout the summer months. In 1927 with the advent of “talkies”(movies with sound) Schoharie’s head projectionist Edward Scribner achieved another milestone first, utilizing his rural ingenuity to devise a sound projection system that would work outdoors. On June 18, 1931, the Schoharie Street Movies featured the world’s first ever outdoor talkie with a presentation of George Abbott’s Manslaughter. For the next two years, Schoharie was the only place talkies were shown outdoors. The popularity of the free street movies continued to flourish throughout the Great Depression, with as many as 5,000 people making their way to the community each Thursday night. It wasn’t until 1942, with the country embroiled in World War II, that the final free street movie would be shown in front of the county courthouse. On June 8 and 10, The Schoharie County Historical Society, in partnership with the Greenville Drive-In and Schoharie Promotional Association, will light up courthouse square once again as they mark the centennial celebration of the first ever street movie. The celebration will kick off with an official reenactment on Thursday, June 8 at 7 p.m. featuring live period music, historical exhibits, popcorn, ice cream and five cent sodas. At 9 p.m. Schoharie’s Main Street will be closed to thru traffic and, just as they did 100 years prior, more than a dozen Model-T era vehicles will take their place in front of the screen. Following remarks by the event sponsors and invited dignitaries, event goers will view A Century Under the Stars, a brief documentary by street movie historian and Greenville Drive-In co-owner Dwight Grimm, before the screen lights up with a showing of the only surviving reel of the film which started it all, The Awakening of Helena Richie, starring Ethel Barrymore, on loan from the Library of Congress. The film will be played on an original hand-cranked projector provided and operated by Chapin Cutler of Boston Light & Sound from the back of a 1926 Ford one-ton flatbed truck. It will be displayed on a screen hung from the original lampposts still standing in front of the courthouse. The movie will be accompanied by acclaimed motion picture music historian Dr. Philip Carli on piano. In recognition of Scribner’s ingenuity, a portion of Schoharie’s first outdoor talkie, Manslaughter, starring Claudette Colbert, will be shown before the event’s conclusion at 9:45 p.m. The free celebration will continue on Saturday, June 10 at 5 p.m. with several events and activities along Schoharie’s Main Street, in front of Lasell Hall and in the parking lots surrounding the Schoharie County Office Building. Included in Saturday’s full line-up of activities is a car show sponsored by the Schoharie Valley Antique Auto Club, a beer trail tasting sponsored by the Schoharie Valley Beverage Trail, an antique radio exhibit sponsored by the Antique Radio Club of Schenectady, a film-themed flower show by the Schoharie Valley Garden Club, live swing music by the Burnt Hills Melody makers, jazz by the Nisky Dixie Cats, history displays, food and craft vendors and much more. The event will continue as the sun goes down and the movie screen lights up one more time for screenings of The Awakening…, a Harold Lloyd comedy, vintage news reels and the most popular film of 1938, The Adventures of Robin Hood starring Errol Flynn and Olivia DeHavilland. For both the Thursday evening and Saturday evening showings, eventgoers are encouraged to bring their own lawn seating as they enjoy an evening under the stars with the stars themselves.